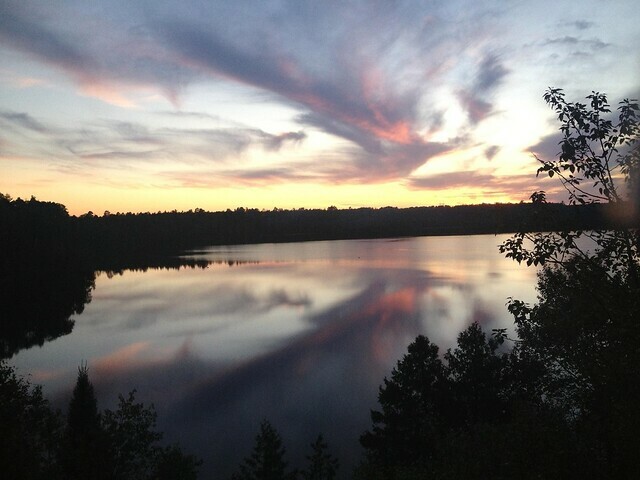 The Huron-Manistee National Forests are 976,043 acres of public lands across the northern lower peninsula of Michigan. With many recreation opportunities for visitors, habitat for fish and wildlife and resources for local industry there is something here for everyone. Each year the forest receives approximately 4 million recreation visits. 4001 Canoe Landing Maintenance begins Apr. 15 to Nov 30. This site is not plowed. 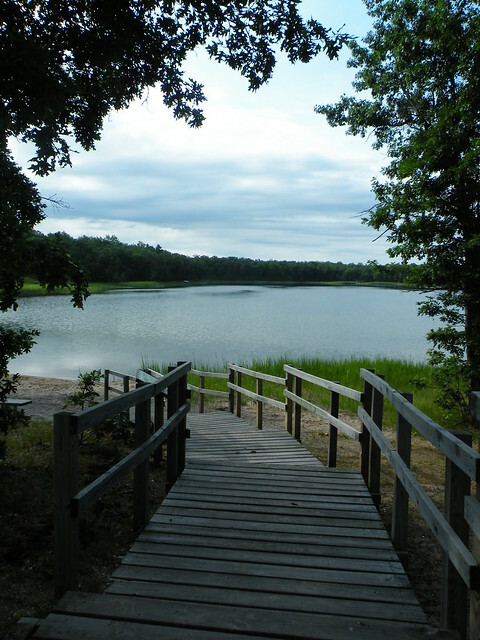 Au Sable Loop Campground and Day Use Area Maintenance begins Apr. 15 to Nov. 30. This site is not plowed. Au Sable River Primitive Camping Reservations needed from May 15 to September 30. Au Sable Scenic River Highbanks Overlook Maintenance begins Apr. 15 to Nov. 30. This site is not plowed. Bear Track Campground This campground is open May 3, 2018 to Sept. 16, 2018. Gated when closed. The sites at this campground are first come, first served. Benton Lake Campground This campground is open May 3 to Sept. 9, 2018. Gated when closed. The sites at this campground are first come, first served. Bowman Bridge Campground and River Access This campground is open May 3 to Oct. 8, 2018. Gated when closed. Reservations recommended May 3 to Oct. 7. Buttercup Campground Maintenance begins Apr. 15 to Nov. 30. This site is not plowed. Cathedral Pines Campground Maintenance begins Apr. 15 to Nov. 30. This site is not plowed. Davis Rest Stop Maintenance begins Apr. 15 to Nov. 30. This site is not plowed. Gabions Campground and Day Use Maintenance begins Apr. 15 to Nov. 30. This site is not plowed. Hemlock Campground and Boat Launch This campground is open May 3, 2018 to Sept. 9, 2018. Gated when closed. Highbank Lake Campground This campground is open May 3 to Sept. 9 2018. Gated when closed. Island Lake Campground Not plowed in winter. This site is gated when closed. Kirtland's Warbler and Jack Pine Wildlife Tours Maintained Apr. 15 to Oct. 31. Self-guided auto tour is on main roads. Roads are plowed in winter, sites are not. Kneff Lake Campground This site is not plowed in winter. This site is gated when closed. Hemlock and Violet Loops: No reservation needed. All sites are first come, first serve. Orchid and Oak Loops (25 sites on each loop): Reservations needed May 3 to Sept. 8. Little O ATV Trail Maintained April 15 to November 30. This site is gated when closed. Loud's Rest Stop Maintenance begins Apr. 15 to Nov. 30. This site is not plowed. Lumberman's Monument Visitor Center This site is gated when closed. Luzerne Horse Trail Campground and Trailhead maintained Apr. 1 to Nov. 30. Not plowed in winter. Mack Lake ORV Campground Gated when closed. Not plowed in the winter. Beach closes Sept. 30. Marzinski Horse Trail and Campground M-55 Trailhead/Campground Access: Managed Season starts May 1, 2016 and ends Dec. 1, 2016. This site is gated when closed. Steinburg Road Trailhead: Managed Season starts May 1, 2016 and ends Dec. 1, 2016. This trailhead is plowed in the winter. McKinley Horse Trail Campground Maintained Apr. 1 to Nov. 30. Not plowed in winter. McKinley Landing Maintenance begins Apr. 15 to Nov. 30. This site is not plowed. Meadow Springs Campground Maintenance begins Apr. 15 to Nov. 30. This site is not plowed. Meadows ORV Campground Maintained Apr. 15 to Nov. 30. Not plowed in winter. Monument Campground Gated when closed. Nichols Lake South Campground This campground is open May 3 to Sept. 8, 2017. Gated when closed. Reservations recommended for sites 17-26 between May 3 and Sept. 8. North Country National Scenic Trail Please use caution on the North Country Trail sections in Lake County. There are numerous trees down in the area. This trail is not groomed. Old Grade Campground This campground is open April 27 to Sept. 9, 2018. Gated when closed. Peterson Bridge South Campground This campground is open April 27 to Sept. 9, 2018. This site is gated when closed. Reservations recommended from May 11 to Sept. 8. Pine Lake Campground This campground is open May 3, 2018 to Sept. 9, 2018. This site is gated when closed. Pine River Campground This site is gated when closed. Pines Point This campground is open May 3 to Oct. 8, 2018. Gated when closed. Reservations recommended from May 3 to Oct. 7. Red Bridge River Access Site Parking lot is open, no services. Trailhead (across from boat launch): no managed season, open year-round. Not plowed in winter. River Dune Campground Maintenance begins Apr. 15 to Nov. 30. This site is not plowed. River Road Trail Camp and Trailhead Call the Huron Shores Ranger Station to make a reservation. Gated year-round. Rollways Campground and Day Use Area Gated when closed. Round Lake Campground and Day Use Area Gated when closed. Sand Lake Beach Day Use Area Gated when closed. Sand Lake Recreation Area This campground is open May 3 to Sept. 9, 2018. Campground gated when closed. Reservations needed May 3 to Sept. 8. Sawdust Hole River Access This site is gated when closed. Seaton Creek Campground This campground is open April 27 to Oct. 8, 2018. Reservations needed from May 3 to Oct 7. Twinwood Lake Campground Winter Maintenance: This site is plowed, but there is no other maintenance during the winter months - no toilet facilties or water are available. Wagner Lake Campground Wagner Lake Campground: This site is gated when closed. Beach closes Sept. 30. Chimney Loop: This site is gated when closed. Reservations through recreation.gov. Wakeley Lake Area Maintained May 1 to Sept. 30. Campground and Day Use Area are open year-round. Trails are not groomed. Parking area is plowed in the winter. The campground is located near a small impoundment, however the impoundment is not a popular site for fishing. The busiest use is the North Country National Scenic Trail trailhead located in the campground. In the winter this site is plowed and provides access to the Ward Hills Snowmobile Trail. ORV use is prohibited in the campground. Hoags Lake is a small lake, primarily visited by fisherman with small fishing boats. The beach is visited by local families and young children for swimming. This is the only public access to the lake. This is a popular lake for waterfowl hunting as well. 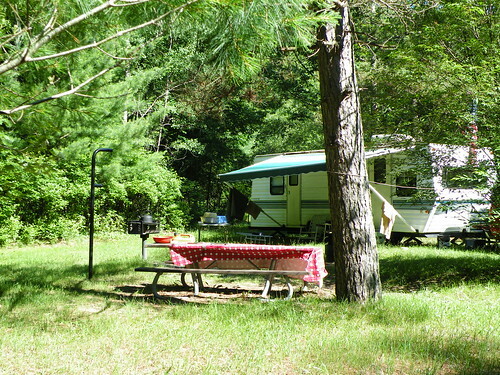 Gabions Campground offers camping on the National Scenic stretch of the Au Sable River. Natural springs are common on this section of the river, including a small one at the river's edge near the gabions. Gabions are rock-filled wire baskets that are placed along the riverbank to help reduce erosion. The Shore-to-Shore Trail passes near the campground; however, Gabions is not a designated horse camp and horse camping is not permitted. Wildlife and waterfowl viewing opportunities exist; please respect wildlife and observe from a distance.